Nigeria’s central bank banned banks from taking foreign-currency cash deposits and will boost supply of dollars to moneychangers this week as it seeks to bolster the currency of Africa’s biggest oil producer and economy. Only wire transfers to and from foreign-exchange accounts, also known as domiciliary accounts, are now allowed, the Abuja-based Central Bank of Nigeria said in a statement on its website on Wednesday. 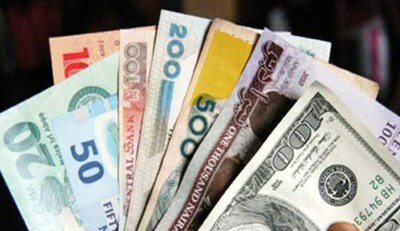 The move will help “efforts to stop illicit financial flows in the Nigerian banking system”, it said. “The central bank is doing all it can to control demand for dollars,” Sewa Wusu, the head of research at Sterling Capital Markets, said by phone from Lagos this week. The ban is the latest in a series of controls to support the naira amid a more than 50% slump over the past year in the price of oil, responsible for about 90% of Nigeria’s export earnings, and to save the country’s reserves, which are down one-fifth to $31.6bn since the end of September last year. In June, central bank governor Godwin Emefiele stopped importers of about 40 types of goods, including furniture, textiles and rice, from accessing official foreign-currency channels, leaving many to use illegal markets. Some Nigerian banks including Guaranty Trust Bank and Fidelity Bank, sent messages to customers at the weekend informing them they will no longer accept foreign currency deposits in cash, citing large volumes of such funds in their vaults which they cannot place with the central bank. The bank will also sell as much as $30,000 to each of Nigeria’s 2,715 registered moneychangers today, Aminu Gwadabe, president of the Association of Bureaux de Change of Nigeria, said by phone from Lagos.